The Physical Education with QTS student was one of a group of leading footballers from women’s clubs at UK universities who participated in a programme of events, tours and training in the Catalan city. 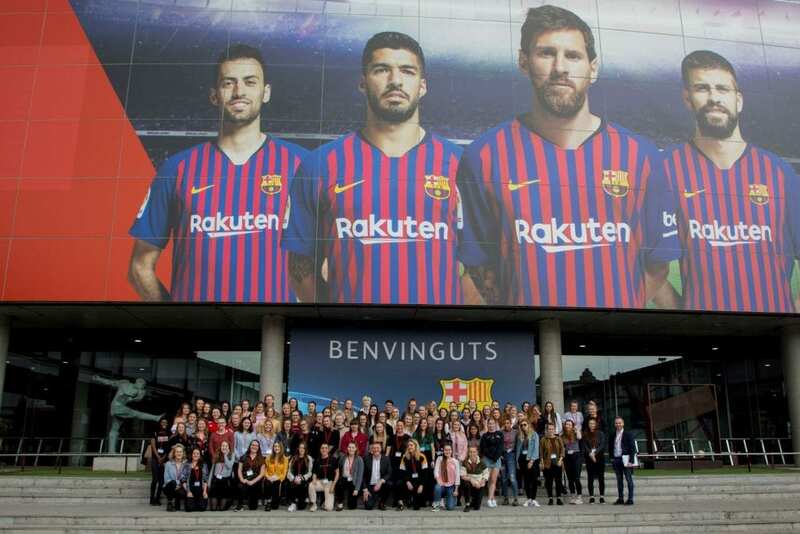 The activities included a panel event on the subject of women’s leadership in the bowels of the Camp Nou featuring senior members of staff from Barcelona FC and Santander. Dominique was also put through her paces in a training session led by Chapi Ferrer, professional football coach and ex-player of FC Barcelona and Chelsea FC. 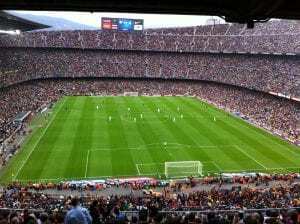 As an exciting bonus, the group saw Lionel Messi, Luis Suarez and co take on Olympique Lyonnais in a crucial UEFA Champions League knockout tie, a result of Santander’s sponsorship of the competition. Speaking before travelling to Barcelona, Dominique said: “This year I have been proud to captain the women’s first team, which has helped me gain confidence and a greater understanding of football. The University’s Vice-Chancellor Professor Debra Humphris said: “We’re delighted that Dominique has been given the incredible opportunity to take part in the Women in Football trip to Barcelona. Matt Hutnell, Director of Santander Universities, said: “We are thrilled to offer this opportunity to top female football talent across the UK to help develop their leadership skills within and outside a sporting context. Santander Universities was launched by Emilio Botin in Spain in 1996. The programme now has over 1,200 university partners across 20 countries. Santander Universities UK launched in 2007. This entry was posted in Physical Education, Student success by Kerry Burnett. Bookmark the permalink.